Normally the secret to a good shortbread is loads of butter, so you may think it impossible to make a low fat shortbread. While we haven’t eliminated the butter completely, this shortbread recipe uses far less butter and sugar than normal. The secret is the cake flour. 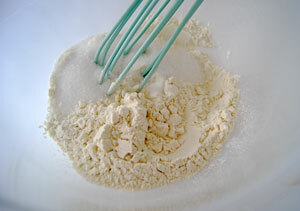 Cake flour is flour that has been milled very fine so that it looks much like powdered sugar. 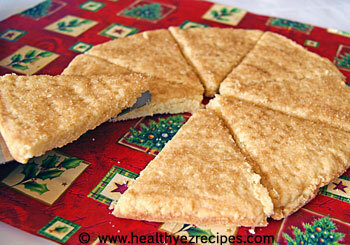 It produces cakes and cookies with a light, fluffy texture and is ideally suited to this shortbread recipe. If you are unable to buy cake flour, pastry flour is a good substitute, or you can make your own. 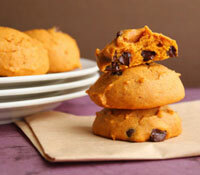 Place 2 tablespoons of cornflour into a measuring cup then add sufficient all-purpose flour to fill a cup measure. Then sift the mixture several times to ensure an even distribution of cornflour and flour. Remove the butter from fridge and leave at room temperature to soften. Then place ½ cup of water in the freezer to chill. Measure out the flour by spooning into measuring cups and place into a bowl. With reduced fat and sugar accurate measuring of flour is imperative. Add the granulated sugar, cinnamon and salt and stir together with a whisk. 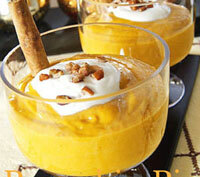 Place butter into a mixing bowl and beat with an electric mixer at medium speed until smooth. This should only take about a minute if the butter is soft. 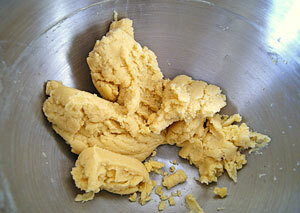 Add flour mixture to the butter and beat at low speed just until combined. The mixture will be quite crumbly at this stage. Add one tablespoon of the chilled water to the mixture and continue mixing until the dough starts to come together. If the mixture is still a little dry, add a bit more water, but only spoonfuls at a time. Once the water is added you can’t take it away. Remove the dough from the mixing bowl and place onto a sheet of plastic wrap. Cover with the plastic wrap and gently press the mixture into a 4 inch circle. 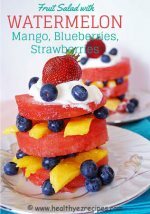 Wrap securely and place in the fridge to chill for 20 minutes. Preheat oven to 180ºC / 350°F. Remove the dough from the fridge and place between two sheets of parchment paper. Roll out the dough into an 8 inch circle. 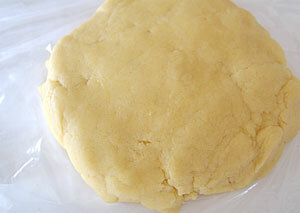 Shortbread needs to be treated very gently to prevent it becoming tough, you simply want to ease the dough into shape. There are several ways of baking the shortbread. 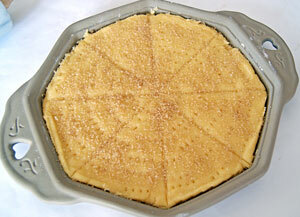 If you have a shortbread mold, place the dough into the mold and gently push the dough into shape. 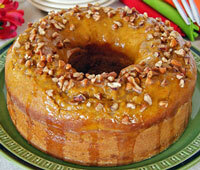 You could use a fluted flan tin, or simply place the dough onto a baking sheet lined with baking parchment. Sprinkle the dough with the cinnamon sugar. Using a very sharp knife score the dough into wedges, making sure you don’t cut all the way through. 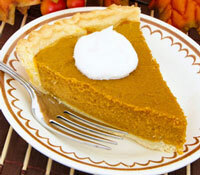 Then prick the top with a fork to make a pattern. 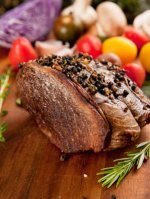 Bake in the oven for 25 minutes or until a light golden color. Remove from the oven and place on a wire rack to cool completely. 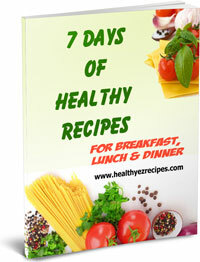 Mix together 1 tablespoon white sugar with 1 teaspoon ground cinnamon.